Sydney Harbour Luxe Charters provide unparalleled Conference Charters.Looking to wow your international guests at your next corporate event? There is no better way to wow your guests than to host a conference charter on Sydney Harbour! Sydney Harbour Luxe Charters caters for smaller intimate conferences to large-scale conferences that comfortably seat 800 guests boardroom style. A Sydney Harbour Conference Charter is an experience second to none. Sit back and relax whilst you cruise past Sydney’s iconic landmarks and spectacular beaches. Our Conference Charters are five star.Please be assured that all of our vessels are equipped with the latest state of the art AV facilities, from cordless microphones to large LCD screens. Look no further for the AV you require for your next corporate event, Sydney Harbour Luxe Charters has it covered, making us your one stop shop! Sydney Harbour Luxe Charters tailors corporate packages, as we understand not two conferences are the same on Sydney Harbour. Our dedicated team will tailor a package based on your individual requirements and overall budget. From the size to the style of the vessel, staffing requirements, food & beverage and overall running of the day – we have it covered! 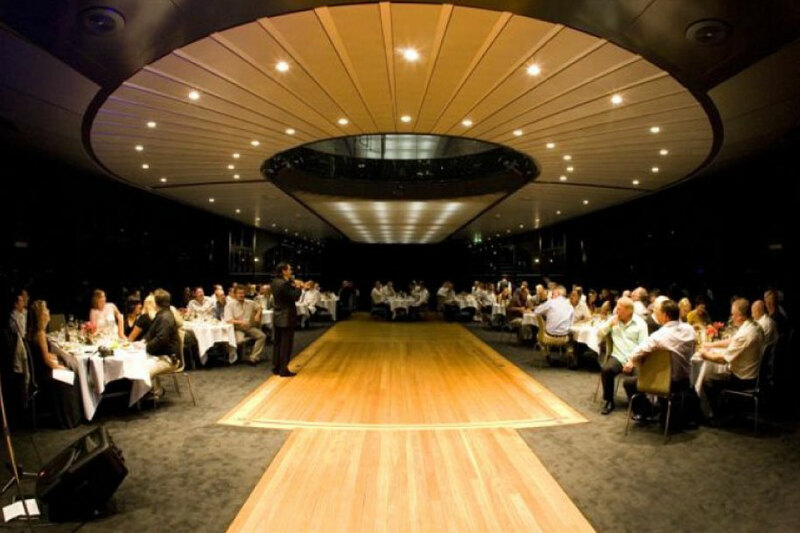 Sydney Harbour Luxe Charters has produced some of Australia’s most successful conference charters,product launches, executive meetings, christmas parties, networking events and team building events. No matter the brief or budget – Sydney Harbour Luxe Charters will help you plan an unforgettable event! Contact us with your conference charter requirements and one of our dedicated event managers will get back to you!